Progressive Charlestown: Science or pseudoscience? Is this water or asphalt? The CCA’s 2010 campaign literature promised “Experience, Conservation, Science” on the Planning Commission. Yet pretty much anytime Chair Ruth Platner is asked about the science behind her proposed ordinances, she's unable to explain it. Living in an environmentally sensitive area, you’d expect Charlestown residents to be concerned about the environment. And indeed, a 2008 e-mail survey by the Charlestown Citizens Alliance showed that nearly 90% of respondents identified the environment as an issue of concern. Though I can’t vouch for the validity of the results given that the CCA gives no information about the methodology. I think most people would agree that addressing environmental issues should be based on sound science. And the word “science” rightly featured prominently on the Planning Commission page of CCA’s 2010 campaign mailer. Yet when Planning Commission Chair Ruth Platner discusses scientific issues at public meetings, she’s generally long on rhetoric and short on details. 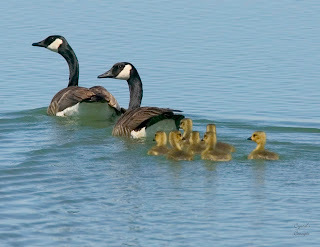 For instance, back before Charlie Vandemoer killed the plans for dark-sky-friendly lighted sports fields in Ninigret Park, Platner stated at a Planning Commission meeting that the lights would create the illusion of water and cause migrating waterfowl to dive into the ground by the thousands and die. I wanted to find out how widespread this problem was, so I started trawling through the scientific literature and as far as I could tell, Ruth’s sweeping statement was based on one, exactly one, freak incident in which birds mistook asphalt for water, not grass like on the proposed sports fields. Now I have no wish to harm wildlife or the environment in any way. I’ve been involved in environmental causes since I was old enough to understand the word. But if you’re looking for freak incidents to use as a basis on which to block an activity, you’ll always find one if you look hard enough. Taller than 15 feet, yet somehow still dark-sky-compliant. 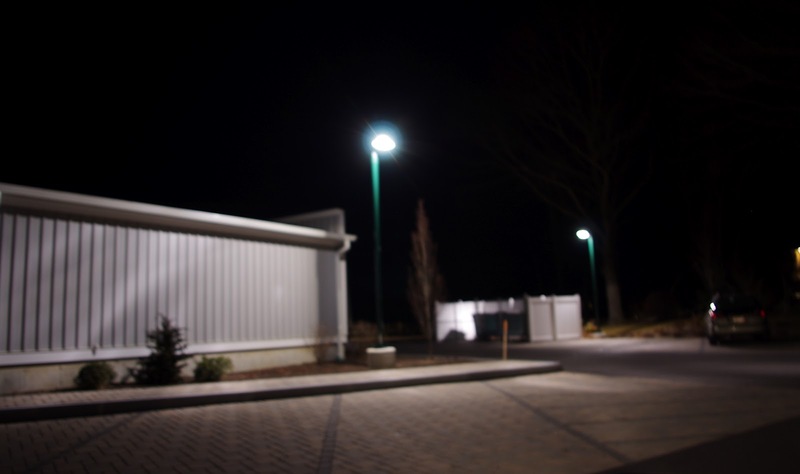 Then there was the lighting ordinance, which bans sodium-vapor lighting. This made no sense to me, because I’d read that photographers and cinematographers generally loathe sodium-vapor lighting for its sickly yellowish color, but astronomers prefer low-pressure sodium-vapor lighting to mercury-vapor lighting because the color spectrum of sodium is narrow, making it easy to filter out. Yet Platner insisted at the March 1 Planning Commission meeting that the astronomers at Frosty Drew had told her that sodium-vapor lighting was bad, very bad. It would appear that Ruth doesn’t understand the difference between low-pressure sodium-vapor lighting and high-pressure. So I did some more research and consulted an astrophysicist, who confirmed that indeed, professional astronomers prefer low-pressure sodium-vapor lighting over mercury, though LEDs are best of all because they can be precisely tuned to specific colors and wavelengths. LEDs, however, are more expensive. So banning sodium-vapor lighting could have the unintended consequence of making people switch back to mercury, which is less energy-efficient and therefore even worse for both the environment and astronomy. 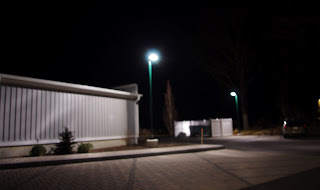 The lighting ordinance also contains a completely arbitrary 15-foot height limit for light poles, despite the fact that Town Planner Ashley Hahn-Morris’s survey of dark-sky-friendly lighting installations around town did not turn up a single instance showing that heights below 15 feet were better. Indeed, the locations around town that are held out as the best examples of dark-sky-friendly lighting have poles higher than 15 feet. Yet Platner never offered any sort of justification for this limit. Her so-called compromise solution was to allow businesses to install light poles of up to 20 feet if and only if they hired a lighting engineer at their own expense to prove what she should have had to prove in the first place in order to pass the ordinance. And as my colleague Will Collette recently revealed, Planning Commissioner and CCA-endorsed Town Council candidate George Tremblay’s “analysis” of low- and moderate-income housing in the Chariho towns and Exeter was short on data and long on unsubstantiated opinions—a true homage to Chairman Platner. So much for “science” at the Planning Commission.